Watch local skaters perform to dance music such as Conga (Miami Sound Machine), September (Earth Wind & Fire), Dancing Queen (ABBA), You Can't Stop the Beat (Ariana Grande), the Cha Cha Slide (DJ Casper) & more! Special Guest skaters include JoJo Billings, Grace VanZanten and members of the Boys and Girls Club of the Muskegon Lakeshore! Local radio personality Andy O'Riley of Positively Muskegon and Muskegon Channel Radio will emcee. 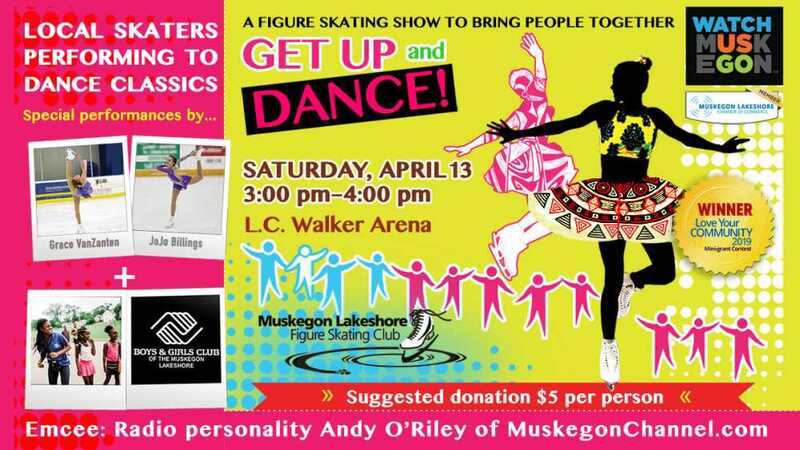 April 13 at 3:00 p.m. at L. C. Walker Arena in Muskegon.